This week seemed to go by SO fast! And to be honest, I forgot to record all my activity for this week. I have the miles still on my Garmin but haven't down loaded the stats yet. Sunday: Rest after a 13.1 miler the day before. A beautiful beginning to March. That will quickly change. Tuesday: 3 Mile run. I was going to say "only" 3 miles but hey, 3 miles is 3 miles right? Thursday: I had a Dr. appointment this day and my Dr. is located right along my running trail. So that meant I was planning on doing a long run when I finished my appointment. I slowly started to rethink my run because my appointment had gone later than expected and I hadn't eaten lunch yet and brought no fuel with me. The sky was beautiful and the sun was out but it sure was windy! I decided I would do a shorter run instead. As I started off I was met with extreme wind. I considered not running and calling it a day but I realized that this JUST MAY BE the same condition I face in NYC this month so I might as well get use to it. 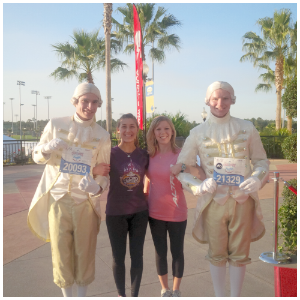 As I started off my body felt extremely frail and I felt like I was running with old lady bones. As I continued, I felt as if I was running through a brick wall. 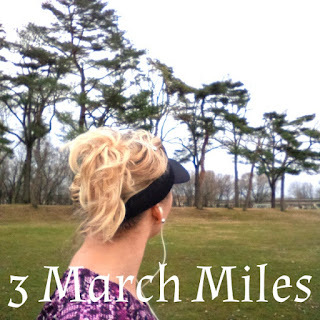 I set my sights on just getting through 3 miles. By the second mile I was pretty warmed up. The temperature wasn't bad and the sun was shining, it was just the dang wind that made things difficult. I finished my three miles but then quickly sabotaged myself by having a cheeseburger and a Shamrock shake for lunch. Why do I do that to myself????? Just FYI: The small shamrock shake all by itself exceeded the amount of calories I burned on my 3 mile run. Womp womp. Saturday: I skipped my long run on Saturday but tried to justify it by saying I did two 13.1 mile runs two weekends in a row and that it was okay to skip a run this weekend. Sunday: Of course I felt guilty for not doing my long run on Saturday so I got up Sunday morning and ran 10 miles on the treadmill. I usually don't run that long on the TM but having one of my favorite movies on TV helped a lot. 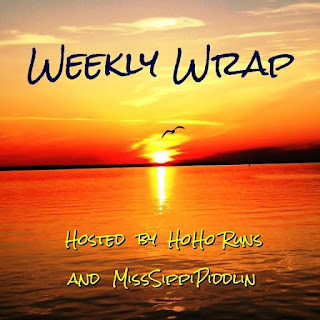 We are linking up with Holly and Tricia for their weekly wrap! Be sure to check them out. This sounds exactly like the thoughts I have throughout my weeks LOL! I count my runs from Monday through Sunday which seems to work best. I have an app where I log runs though that counts it S-S and it makes all my weekly numbers be off which is annoying. I usually count it as Sunday thru Saturday but today I actually got my Sunday miles in before I published this post! Usually if I run on Saturday, I rest on Sunday or take a short walk. Windy running is the worst! I'm trying to hold off on getting a Shamrock shake - that was a childhood favorite, but I do not need those calories. Right? They actually have a Shamrock Frappe that is new this year and it is less calories than the shake. I had to splurge though and get the chocolate shamrock shake! The wind is the reason I ran so early this morning--the forecast was for 30 mph winds later in the morning. I wanted to get out there before that! I hate running in the wind. Yea, I can understand why! I despise running in the wind. In fact, it's the weather condition I dislike the most. It sounds like you made a good choice to cut your run short, especially since you hadn't fueled properly for a longer run. Yea, I thought so too! It has been ridiculously windy in MN - the last few weeks for my long runs have been brutal and cold! the kids actually went outside today and flew kites! I often sabotage my workouts with crazy food choices too! But, shamrock shakes I cannot resist! They are so good! That may be my only one for the season now that I know how many stinkin calories they are! I have not had a Shamrock Shake in decades! I can live without them, but don't tempt me with plain mint chocolate chip ice cream .... Running in the wind can be brutal, and I have heard that the NYC Half can get windy near the end. I am so worried about the wind in NYC and still debating on whether or not to wear a visor. 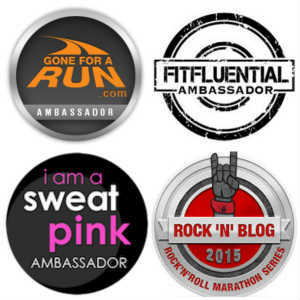 Your TM run totally counts! They aren't my favorite either, but having the right shows/movies to watch can make all the difference. Awesome job being flexible and getting it in! And don't feel bad about the Shamrock Shake - they're only around for a short while, so totally worth it! This was my longest TM run in quite a while so I am proud that I hung on for that long! 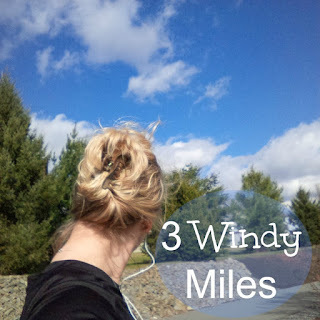 Windy runs are quite the challenge! I always end my week on Sunday, so I say those miles count for last week. But, I guess it doesn't really matter. Kudos for running 10 miles on the TM too! I've heard so much about those Shamrock Shakes. I'm going to have to break down try a (small) one. 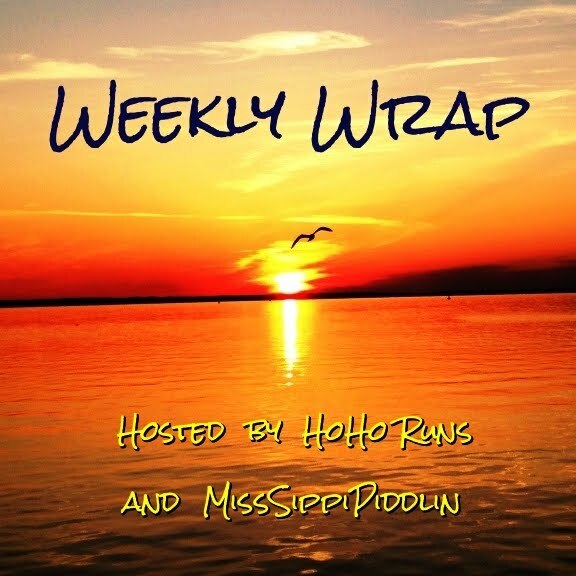 Thanks for linking, Meranda! They are worth trying at least once per season! Ugh. The wind can be soul sucking. Crazy how quickly treat calories add up. I bought my daughter a Shamrock shake but I haven't succumbed. They have new Shamrock Frappes now too! I reckon miles are doubled when you run in the wind. All that resistance work must count for something! What show did you watch on the TM? Since Shamrock Shakes are seasonal and you had a hard run, it sounds like the perfect time to indulge! Actually if you're gonna eat junk the best time is after a run. Me.. I eat it right before bed. The worst time! Surprisingly when I turned on the TV the SATC movie was one so I watched that while I ran. Then later on after lunch the second movie came on so I watched that while I did laundry and house work. It was a great Sunday! The wind has been relentless here! and there is just no way to work around it, but to get used to it. I'm glad you were feeling better by mile 2! I was thinking of your post from last week, and remembered a in case of rain or wind tip of carrying a trash bag to use as a raincoat. You can dump it if it stops raining or it gets too hot. We keep two trashbags on our running kit. I started off running into the wind too on Saturday. It's never my favorite, but it did die down a bit and I was able to warm up and enjoy the sun. Now it's really windy today, but I'll be inside on the bike. I had the new chocolate shamrock shake a week or two back & didn't love it. Still have to try the Shamrock Frappe & OF COURSE get a regular old shamrock shake. I go in knowing it's a bazillion calories. So I try to grab one after a long run since I know I "earned it". Haha. Love combining errands & running, like your DR appt. Great use of time if you ask me. The wind last week was NUTS! Totally crazy! The wind here has been a negative factor, too. Wind can totally mess up a run but you are exactly right, if we only run in ideal conditions, then come race day we are really thrown for a loop when some of them just aren't ideal! Great job on not throwing in the towel on that run! Wow! I think running two HM distances two weekends in a row is definitely reason to give yourself a break!